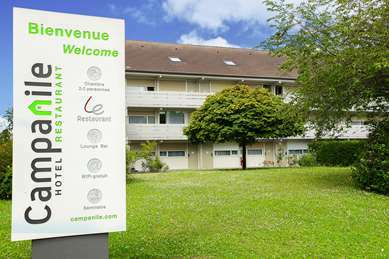 15 km from Paris, Hotel Campanile Epinay-sur-Orge is open 7 days a week in a completely renovated setting. 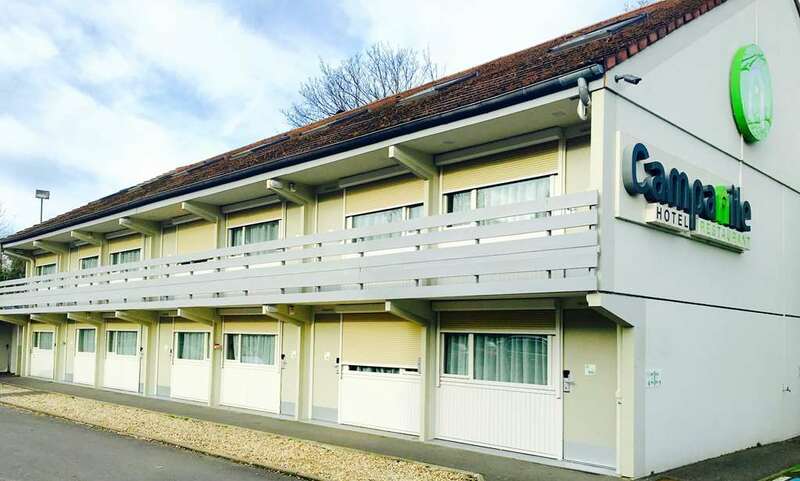 Easily accessed from the A6, it is ideally located for a stopover or a business trip to Paris. 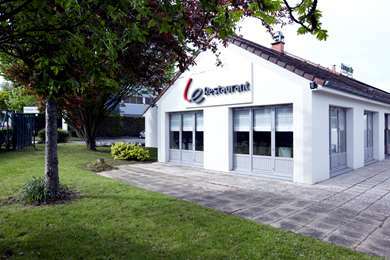 This warm and friendly 3-star hotel has next generation rooms, a restaurant, a terrace and free parking. Near Petit Vaux train station, our Epinay-sur-Orge hotel is located 25 minutes from central Paris on the RER C. It also provides quick access via the A6 to the major business centre of Chilly-Mazarin, Morangis and Viry-Châtillon. Finally, for your domestic or international flights, Orly airport is only 9 km away. Our 59 air-conditioned rooms provide a bright, modern interior. Equipped for business or pleasure, the rooms have large double beds or twin beds. 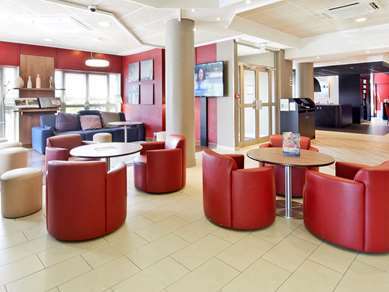 Guests enjoy free Wi-Fi, a flat screen TV with Canal + and BeIN Sports, a hospitality tray and a comfortable work area with a modem jack. Some rooms are wheelchair-accessible. The bathrooms are equipped with walk-in showers or baths. 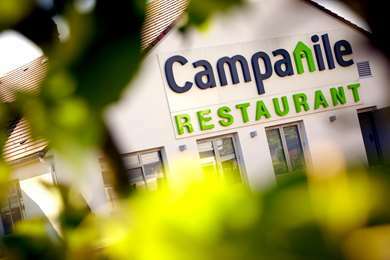 The Campanile Epernay restaurant is open for breakfast, lunch and dinner. Every morning a full breakfast is served as an ample buffet. For your lunches and dinners, the chef serves healthy and balanced cuisine, seasonal menus and large buffets. 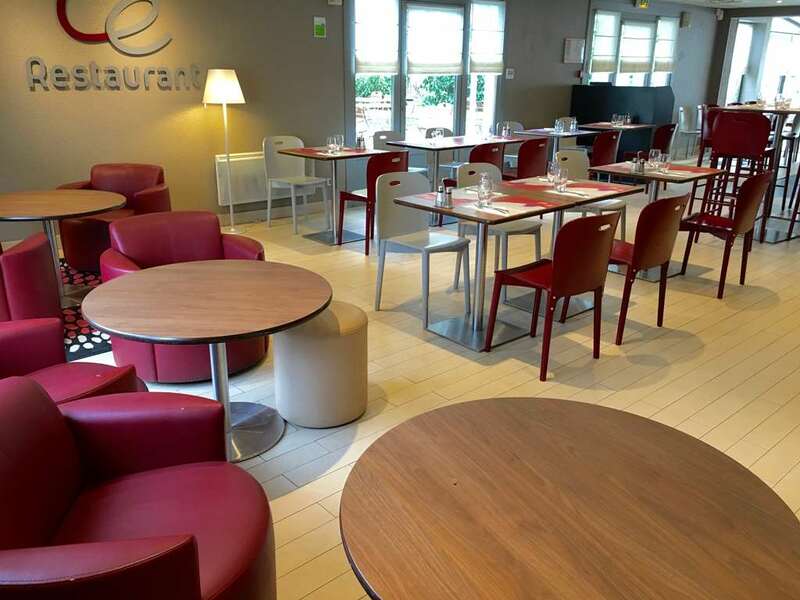 Enjoy an excellent, quiet and relaxing stay in our cosy hotel-restaurant in Epinay-Sur-Orge. With 58 comfortable, fully equipped new renovated rooms, everything is designed for you to enjoy relaxation, freedom and efficiency… if you are on a business trip. 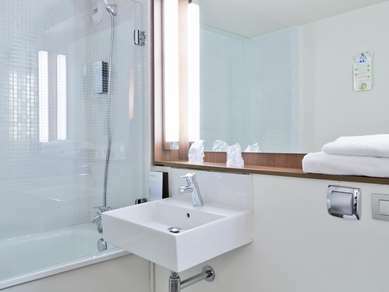 Your bathroom has a bathtub with shower and a complimentary tray with a kettle, tea, coffee and selection of cakes will be available for you every day in your room. For your maximum comfort, each room is equipped with a television, a work station, a direct line telephone and a modem connection for your laptop. Free WIFI access is available in all rooms! Room service is guaranteed (with reservation) until 11:30 p.m.